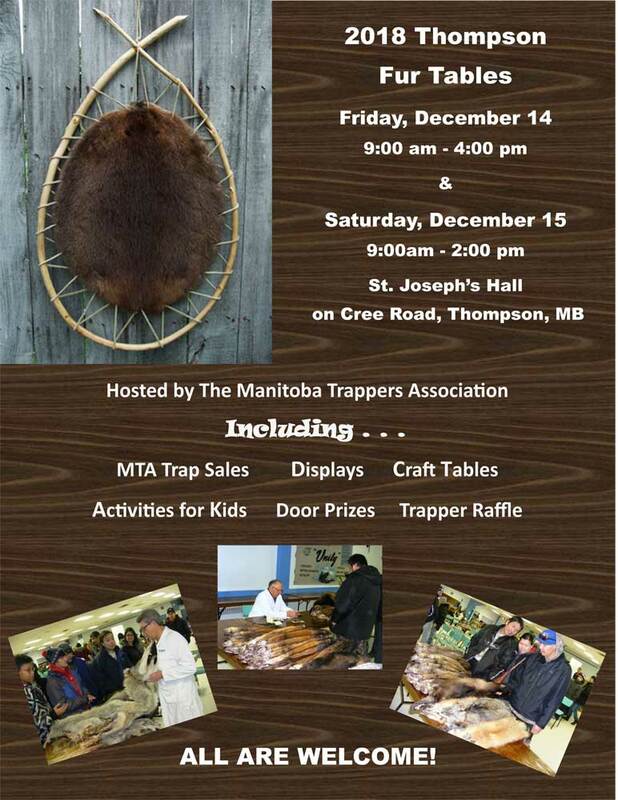 The Thompson Fur Table is the only event in Canada to provide northern trappers with a unique opportunity to get better prices for their raw pelts. The two day Table is traditionally held a week or so before Christmas and has had over 300 trappers attend. Up to 5 licensed fur dealers gather annually in one hall and inspect each trapper’s lot of fur. Each dealer provides a quote for the lot and the trapper selects the best price. In this way the trapper benefits from the on-sit4e competitive demand for their furs. The December timing of the Fur Table also allows families from all over the north to meet with distant friends, learn about new fur-bearer harvest and management techniques, and do some shopping before returning to their communities.